от 1500 шт. — 19.40 руб. 120 руб. 2-3 недели, 3635 шт. 5 шт. 5 шт. 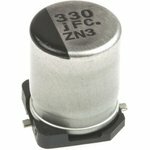 The Panasonic FC series capacitors are automotive grade, surface mount polarized aluminium electrolytic capacitors. The capacitance value ranges from 1µF to 1500µF. 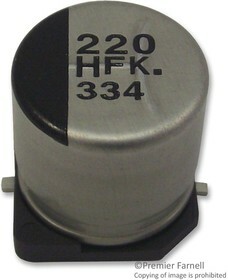 These capacitors are solution for low inpedance solutions.